Martin Luther King Jr. 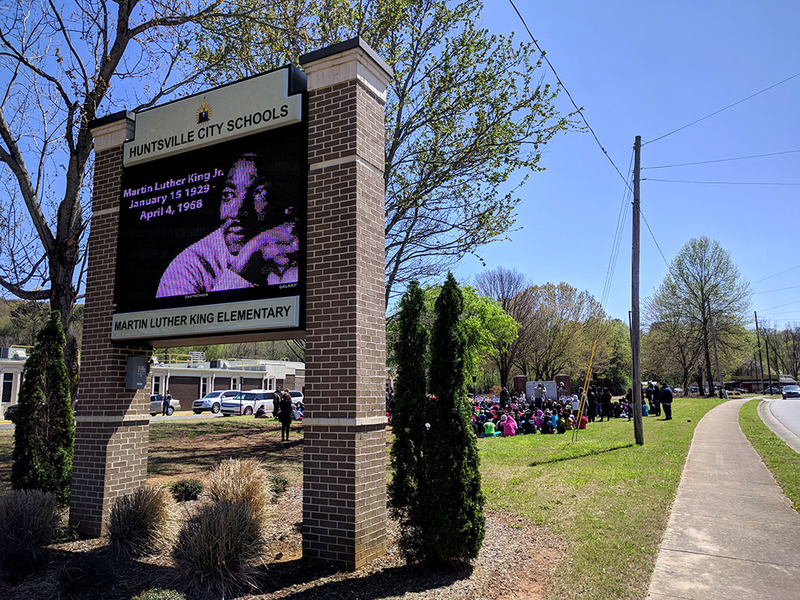 Elementary school held a ceremony earlier this week to celebrate the life and legacy of Dr. King on the 50th anniversary of his death. 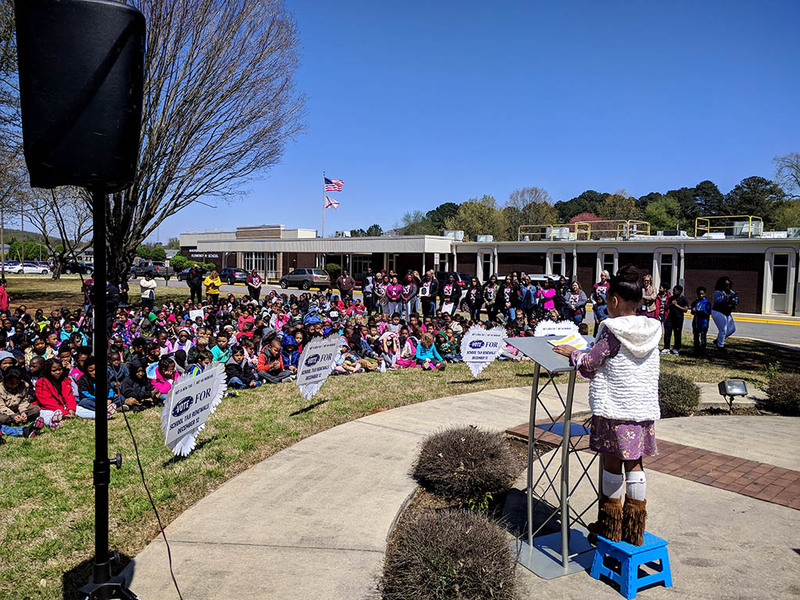 All of the Pre-K through 5th grade students gathered in front of the school to hear remarks from the Principal Karen Melillo, along with a reading from Dr. King’s “I Have a Dream” speech by the school’s SGA President, Shi’Ann Perez. 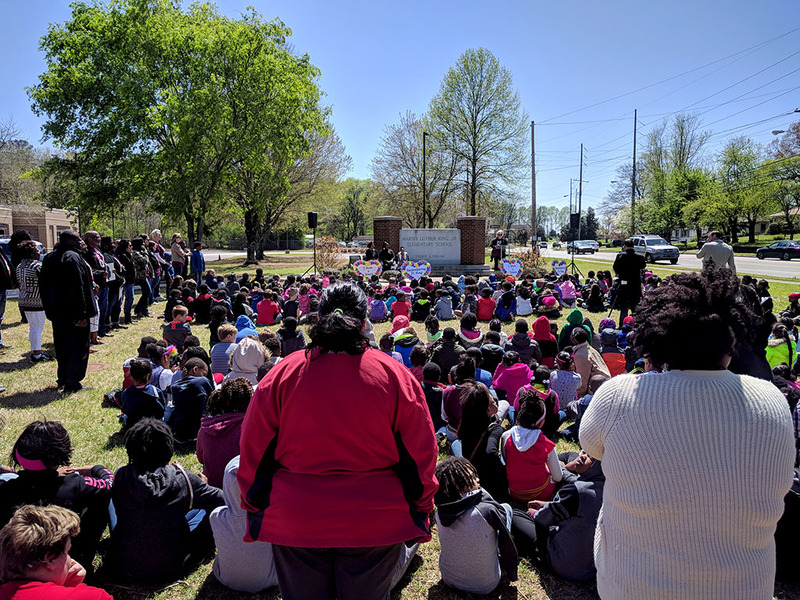 The ceremony concluded with a performance of the song “We Shall Overcome” by Mrs. Monica Earl. In 2002, the school was renamed Martin Luther King, Jr. Elementary, to honor his legacy. “I hope that our students take away the importance of always respecting each other and treating each other fairly, and always honoring the dream that Dr. King had,” says Martin Luther King, Jr. Elementary Principal Karen Melillo. She goes on to say that the school always hopes that its students live up to the values Dr. King promoted, such as the ability to resolve conflicts in a peaceful manner. Shi’Ann Perez says that she hopes the students will “remember at least some of the speech,” adding that it can be a source of great inspiration.